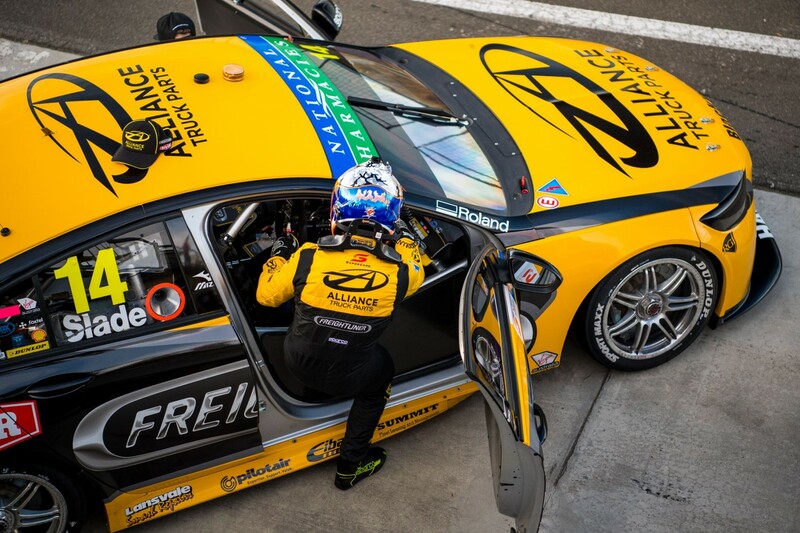 Despite an off-season of major changes, Brad Jones Racing continues to face the same challenges as it fights to become a more consistent Supercars force. After building fresh ZB Commodores and switching to KRE engines for 2018, Tim Slade raised hopes for the squad by topping the pre-season test. 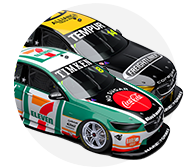 Three events in, the team is a strong fourth in the points, with Nick Percat and Slade eighth and 10th respectively in the drivers’ standings. Percat grabbed headlines with two podiums at Albert Park, where Slade scored his season-best to date with a fourth. While traditionally fast on high-grip circuits such as the Grand Prix layout, Adelaide and Symmons Plains proved far more challenging. 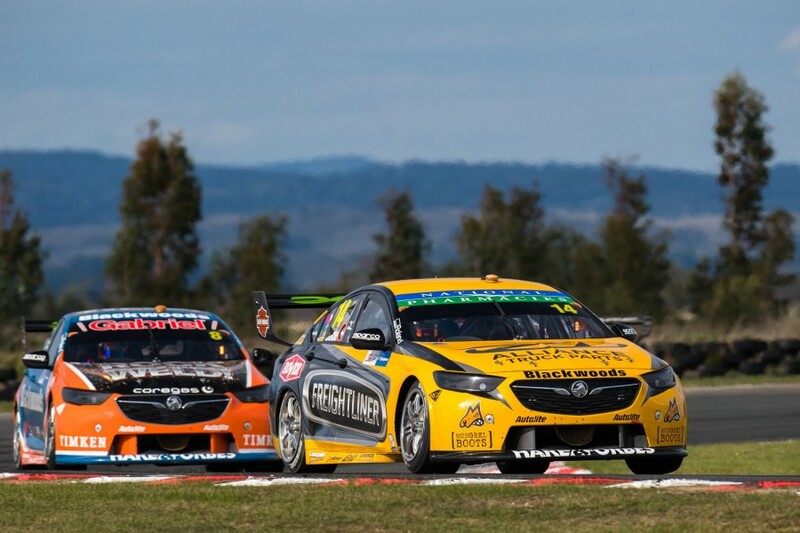 On Sunday at Symmons Plains, Slade and Percat qualified just 16th and 17th respectively, ending the race 14th and ninth. Slade’s race included nursing a right-rear tyre that, having already completed the first stint, was inadvertently put back on the car in the second pitstop. Saturday had been stronger, with eighth in ARMOR ALL Qualifying – the Freightliner’s Holden’s second top 10 effort of the year – and seventh in the race. “It’s been frustrating. I don’t feel like our results have been much different to last year,” Slade told Supercars.com, having been ninth in points after Symmons Plains in 2017. “We weren’t on top of the set-up in Adelaide, but we’re fairly confident we know why. “At the Grand Prix we had an issue with my car on the Thursday and Friday, it wasn’t a disaster but with that problem we weren’t able to quite match Nick. “That was frustrating because I felt as though if everything was right we could have both had good, solid weekends. “At Symmons Plains we didn’t ever have the ultimate pace, which is I guess a little bit worrying, but we haven’t really had the ultimate pace there for the last couple of years. “It’s definitely something that we need to work on for when we go back there next year. “But it’s not all doom and gloom. There’s only two or three teams that consistently do have the ultimate pace and everyone else is searching for that consistency. While the ZB Commodore has clearly been a step forward for the Holden runners, Slade downplayed the differences with the previous model, the VF. “We’re still working on the same areas,” he said. “A lot have said ‘what’s a ZB like?’, but if you blind-folded me and sat me in the car and sent me out, I probably wouldn’t know it’s a ZB. 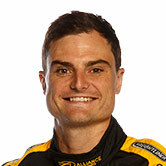 Slade is this weekend competing in Malaysia, making his Blancpain GT Series Asia debut aboard a Ferrari GT3.